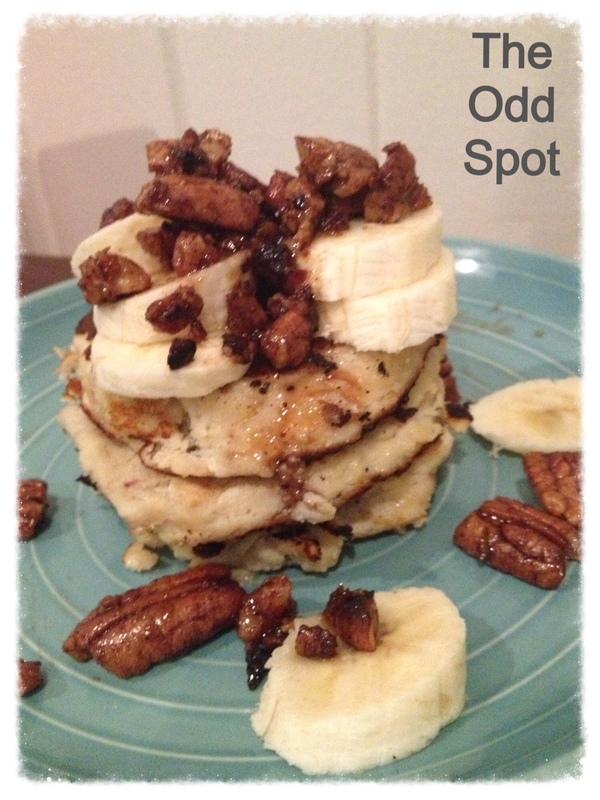 This entry was posted in Allergy & Intolerance, Recipes and tagged allergy friendly, breakfast, coconut oil, Cook, dairy free, Flour, gluten free, grain free, healthy alternative, Maple syrup, Pancake, pancakes, pecans, Sea salt, Tablespoon, Vanilla extract. Bookmark the permalink. Hi! I nominated you for the Liebster Award. I think your blog is great! These pancakes sound delicious and I’d be tempted to eat the whole batch of glazed pecans before they made it to the pancakes too! They are delicious…and yes the pecans did not last the day addictive!